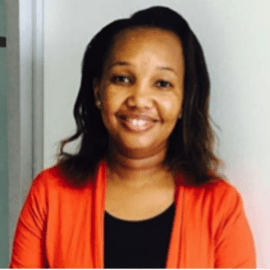 Jane is the Senior Market Advisor in Innovation Norway East Africa. She has experience in international trade with 20 years working competence. She has worked in both the private and public sectors. She has knowledge in trade policy analysis, sector and market analysis, export market development, business to business linkages, business fitness assessment, merchandise planning and procurement, development of strategic plans, and management of projects and programmes. Additionally, she has skills in management of trade missions, buyer-seller’s meetings, seminars and workshops and other market entry strategies such as participation in trade fairs and exhibitions. In Innovation Norway, Jane assists companies in doing market research, partner searching and match- making in the East African region. She helps companies to know about compliance with the regional and regulatory framework for trade and investment. Jane is widely travelled and holds a Bachelor of Commerce Degree with a Marketing Major and a Master’s Degree in Business Administration with a specialization in Strategic Management. She is fluent in English and Kiswahili. Contacts: Email: jane.ndungo@innovationnorway.no  mobile: +254 722 733 967.